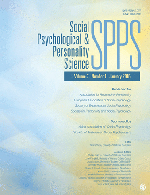 Washington, D.C. – From rejection to volunteering and innocence, the following research recently published in Personality and Social Psychology Bulletin. Media may contact press @ spsp.org for a copy of any of these studies. Across four studies of over 500 people, researchers from Cornell University show rejection feels worse when people are told it is due to someone else. Part of this “hurt” may be because such rejections lead to an increased sense of exclusion and decreased belonging. They also found that when no information is given, people assume, and react, as if they were rejected for someone else. Community service represents billions of dollars in unpaid work hours that contribute to the well-being of communities. Examining personality traits and volunteer rates across the 50 U.S. states, research shows a correlation between neuroticism and state volunteer rates. States with higher numbers of neurotic people showed lower volunteer rates. This research is “the first to show that state resident neuroticism is a potent predictor of state volunteering rates,” writes personality psychologist and study author Stewart McCann. New research shows people's willingness to censor immoral acts from children comes down to a single moral value—sanctity. Rajen Anderson and E. J. Masicampo conducted a series of three studies to understand what motivates people to shield children from certain images and ideas. The more people valued sanctity, the more willing they were to censor from children, regardless of the types of violations depicted, from impurity, to disloyalty, and disobedience.